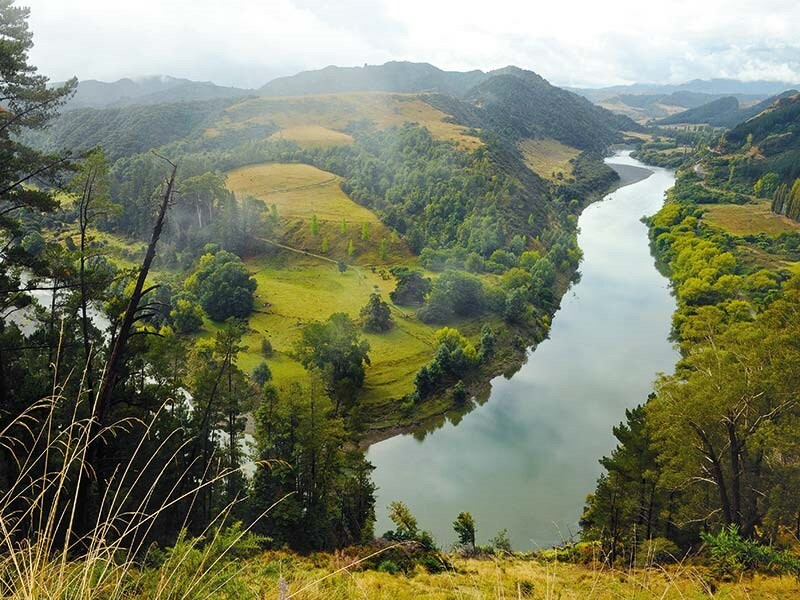 Heather Whelan explores New Zealand's longest 'river' road: the awe inspiring stretches of the Whanganui River. 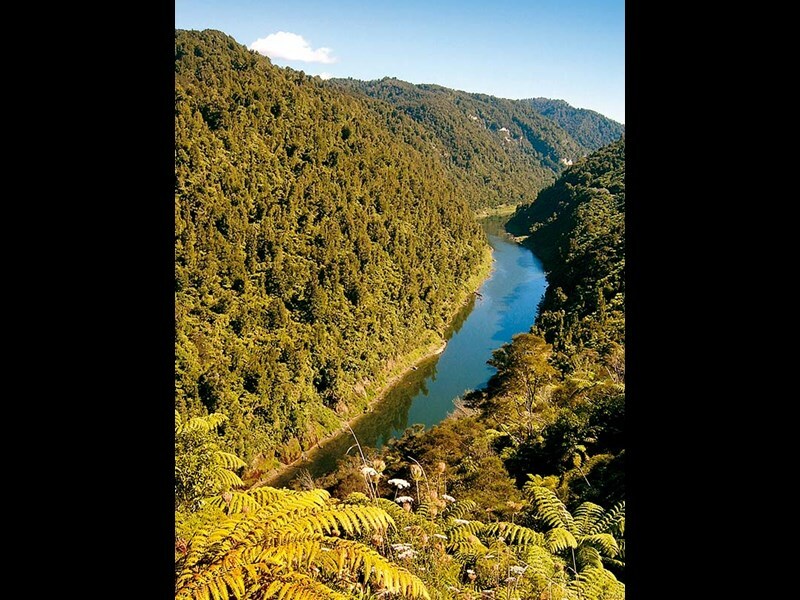 A drive up the Whanganui River Road to Jerusalem had been on the bucket list for a while and on a sunny day in early autumn we finally set off from Whanganui along the narrow, windy but now completely sealed road. The 79 kilometres were built over a 30-year period, completed in 1934, and prior to this all transport was by river. The Whanganui sunshine was displaced as we left SH4 and drove over the Gentle Annie past Pungarehu and Parakino. In its place mist hung over the river and drifted across the hillsides giving the place a timeless, mysterious feel. 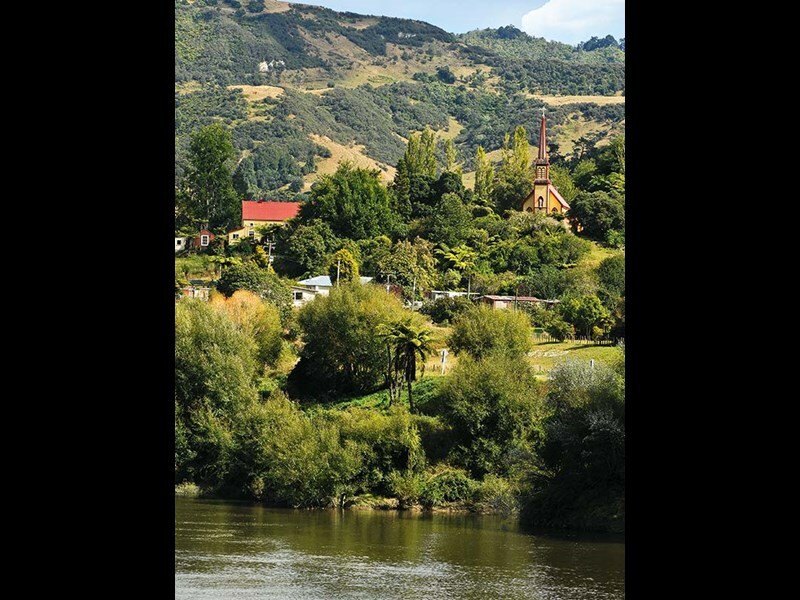 The poet James K Baxter described the Whanganui as 'the brown river, te taniwha' and as we drove past the small settlements with their marae it was easy to share his sense of the spiritual. The Maori have long lived beside the river. A local proverb widely quoted says, 'The great river flows from the mountains to the sea. I am the river, the river is me'. The Maori tell that long ago Ruapehu, Tongariro and Taranaki lived together on the central plateau. After Taranaki tried to steal Tongariro's wife Pihanga there was a battle and the defeated Taranaki fled down to Whanganui. 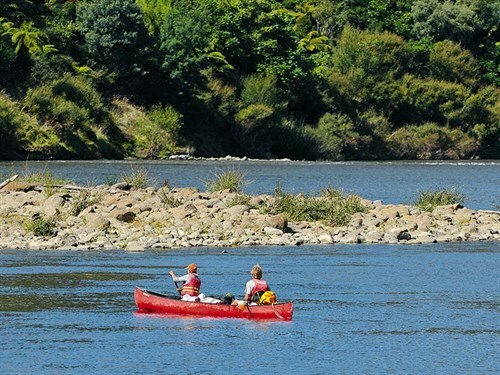 The deep furrow he gauged out on his journey formed the Whanganui River. Geologists have shown that the whole region was once a seabed and there are layers of fossilised oyster shells between Parikino and Atene. Atene, otherwise Athens, was named by the missionary Richard Taylor who had a great influence on the local Maori and strived to develop peace between warring tribes and between Maori and pakeha. The meeting house here was built in 1886. The six-to-eight-hour Atene skyline walk starts here and there is a shorter walk (one-to-two hours) to a viewpoint, which we thought we might attempt on the return trip. At this point on our journey the sun broke through and we began to see what was described by early steamer boat trip advertising as the 'scenic masterpiece', the 'Rhine of Maoriland'. As we navigated bend after bend in the road the river below reflected the bush-clad slopes on either bank. 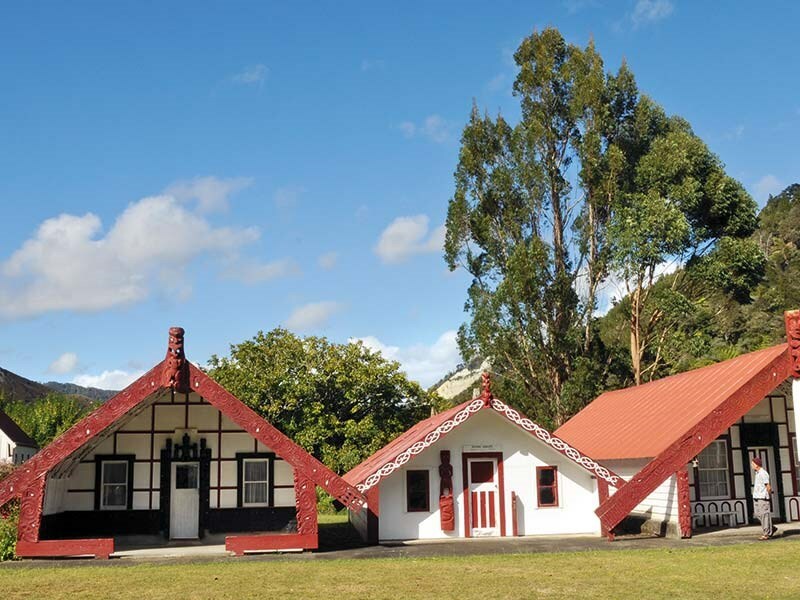 The next settlement we passed was Koriniti/Corinth where there is a marae with two traditional wharenui, frequently used for cultural tours and overnight stays. There is a small museum here and also at the Kawana Flour Mill a little further up the road. 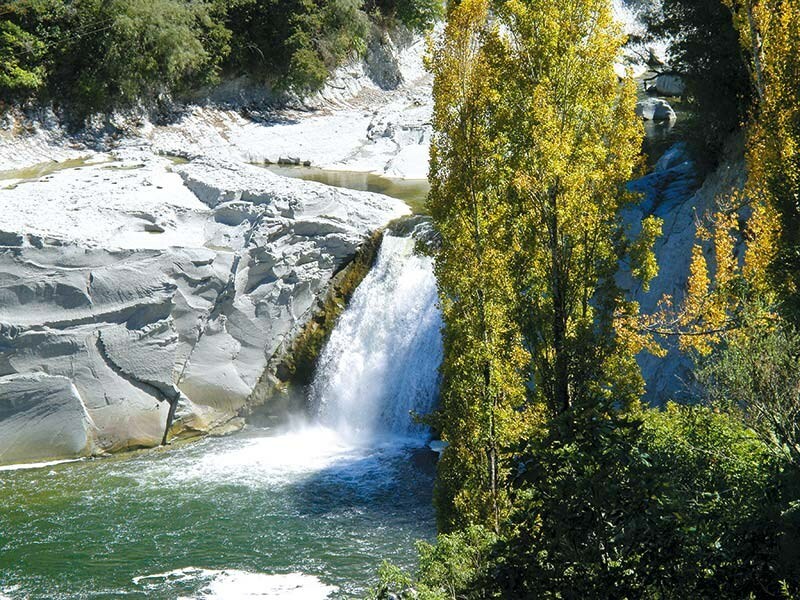 This was built by local Maori with help from Governor Grey in 1854 and was already a historic visitor attraction in the early twentieth century when steamers plied the river. We were keen to spend time at Jerusalem though so didn't linger but continued on our journey through Ranana/London which is one of the larger settlements on the river. 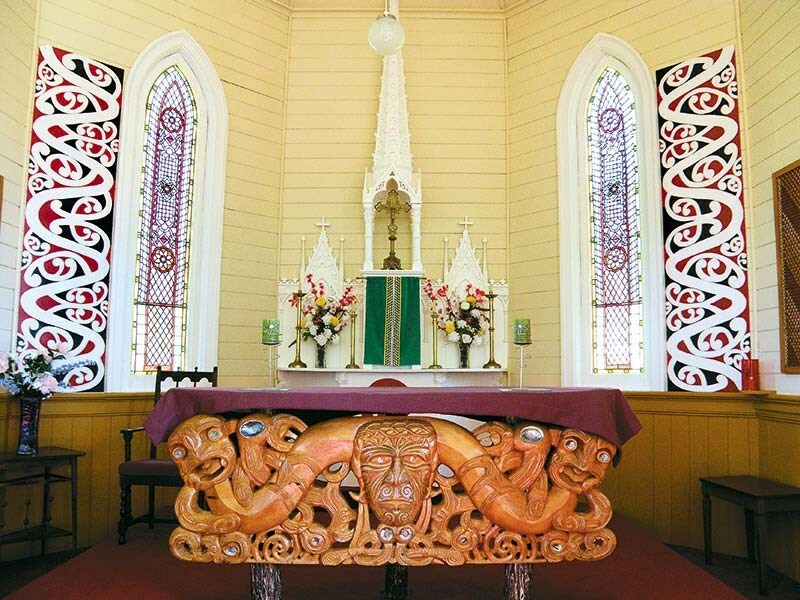 It boasts a century old church and a marae. Finally we rounded a corner and there ahead of us was Jerusalem (Hiruharama), its church spire reflected in the river below. We drove into the village and parked beside the convent, founded by Mother Aubert in 1890 and still functioning today. 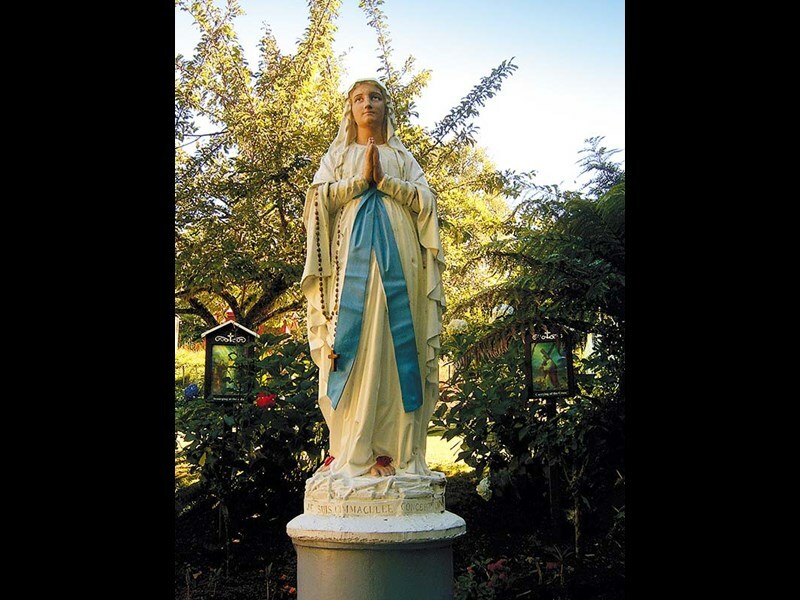 The sun shone from a cloudless sky and the church and convent buildings were pristine in their peaceful garden grounds. We wandered around and there was not a soul to be seen, just a serene atmosphere. Inside the church there is a photograph of Mother Aubert who was well-loved for her work with both Maori and pakeha in Jerusalem. A talented and fearless woman she wrote books in Maori, English and French and cared for the sick using a combination of traditional Maori medicine and pakeha science. Mother Aubert founded the Catholic Mission in 1885 and the church was built in 1892/'93. 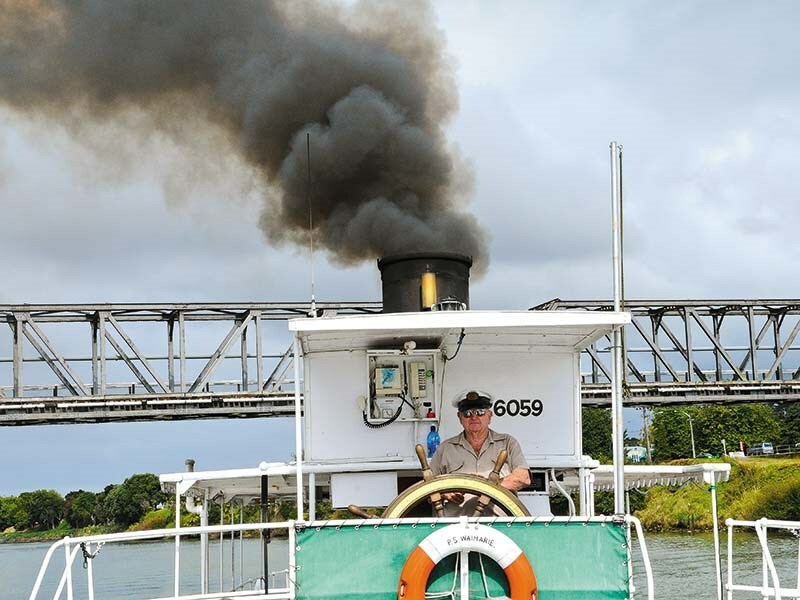 Jerusalem became an important stopover on the river in the early 1900s when A Hatrick and Co Ltd, steamer proprietary (as they styled themselves) ran a service from Taumarunui to Whanganui, with railway connections at each end. 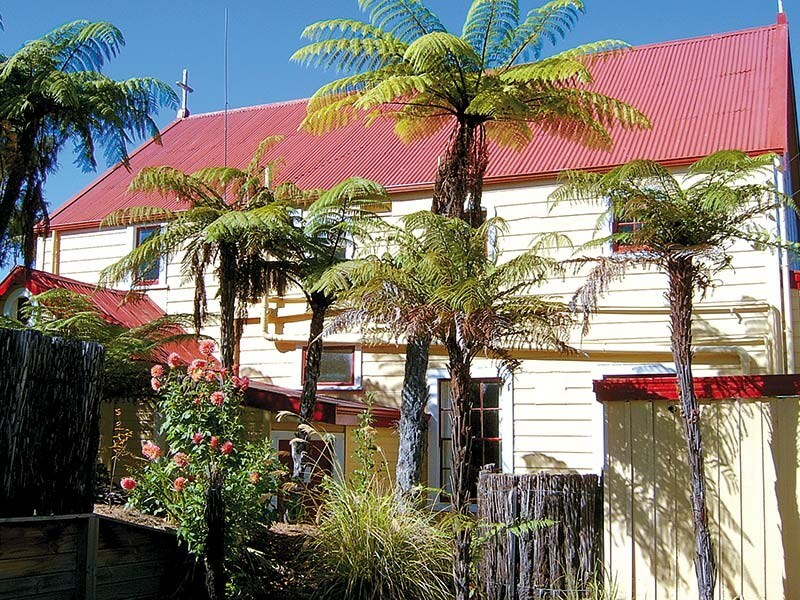 They boasted that the accommodation at Pipiriki house could accommodate 300 guests and sported the latest amenities, electric lights and hot and cold baths. By the time that James K Baxter set up his famous commune in Jerusalem in the late 1960s Jerusalem was again a sleepy backwater. The commune was a short lived endeavour which ended after Baxter's death in 1972. He received a full Maori tangi and was buried on Maori land in front of the house where he had lived. An inscribed boulder marks the grave. Visiting Jerusalem was the highlight of our drive up the River Road but we also got a taste of the history and the mystery of this special part of the country. For the full article, check out the latest issue (#127) of Motorhomes Caravans & Destinations magazine. Subscribe here.